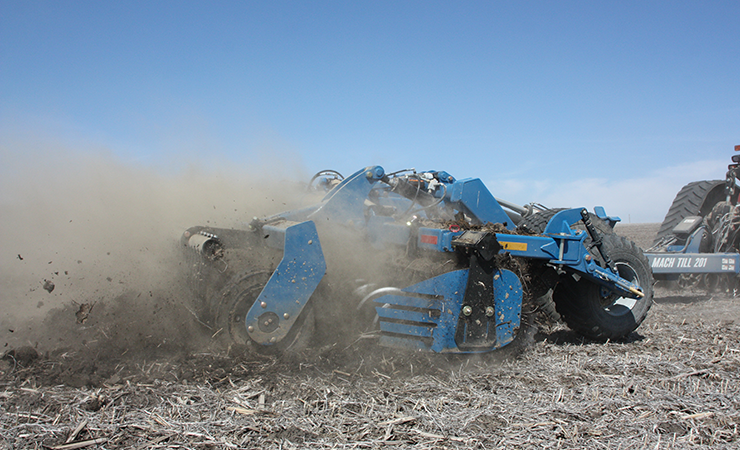 Shred heavy residue in the fall, or produce an ideal seedbed for planting in the spring. 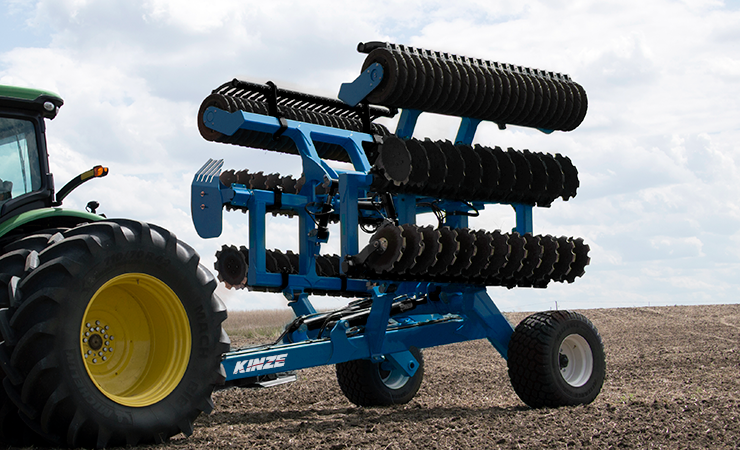 The NEW Kinze Mach Till 201 is an ultra-versatile, hybrid-horizontal tillage tool. 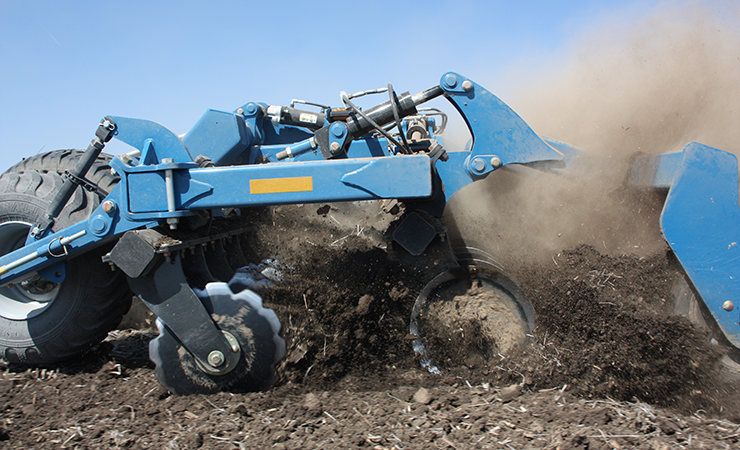 Running at speeds of 8 to 12 mph, the Mach Till 201 uses two rows of concave discs and a corrugated roller to fracture, lift, mix, break up, level, and firm the soil. 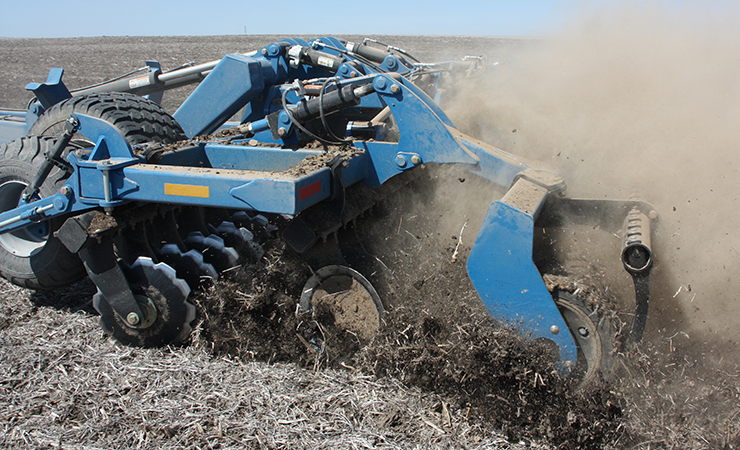 What results is a seedbed mix where 60% of residue is mixed into the dirt, and 40% remains on top as mulch to protect it. 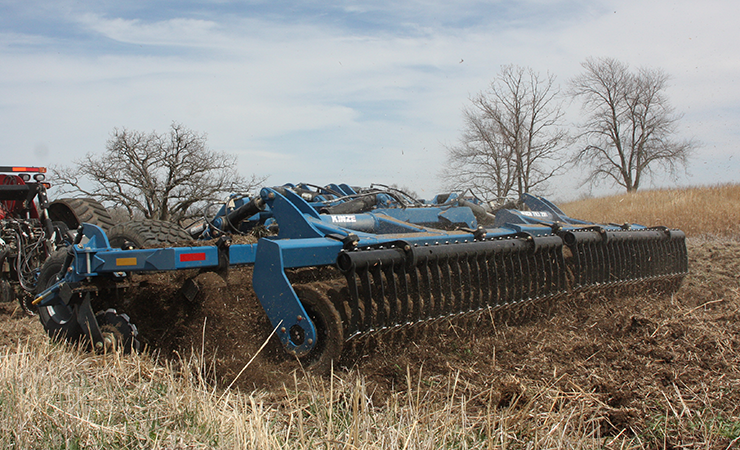 Designed to run at 8 to 12 mph, the Mach Till 201 can till at rates up to 30 acres/hour. 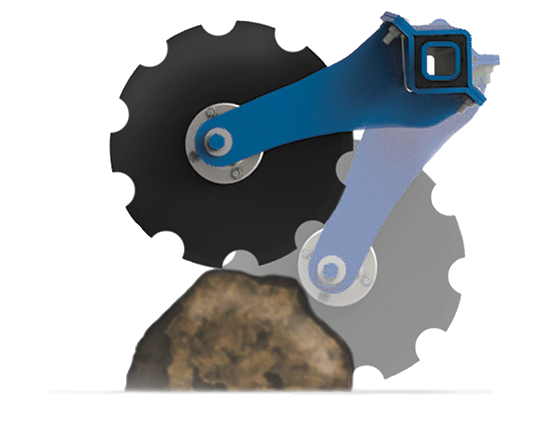 Equipped with rubber suspension independent disc arms that allow over 11” of clearance, rocks and uneven fields don’t slow it down. 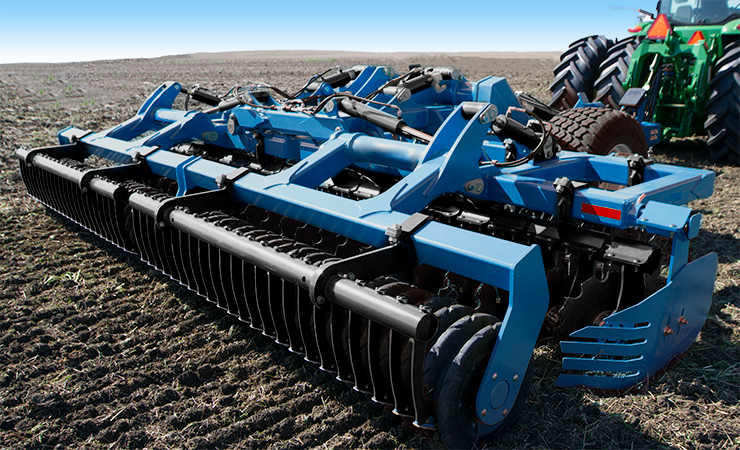 From the heavy and durable frame, the unobstructed trash flow design, to the easy-to-make cylinder adjustments, the Mach Till 201 hybrid-horizontal tillage tool is designed to effortlessly and efficiently get tillage work done. 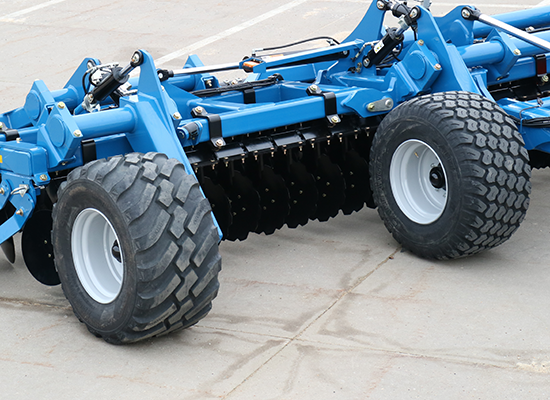 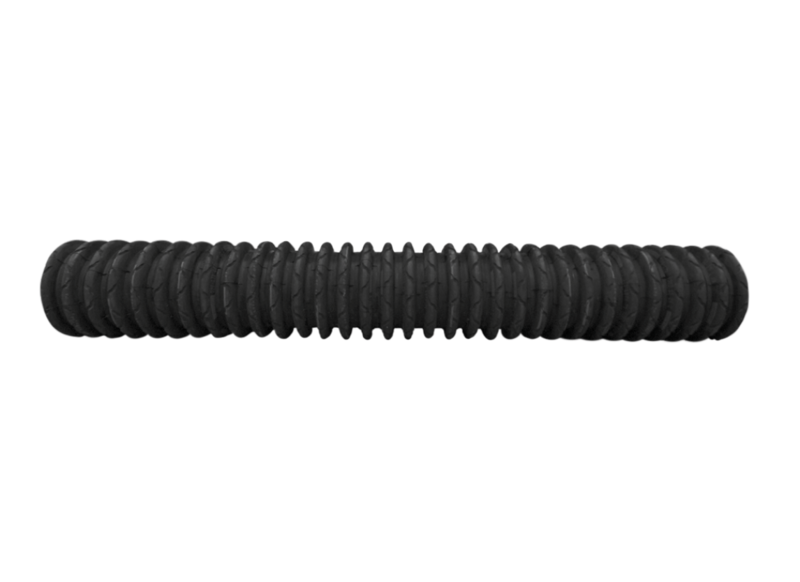 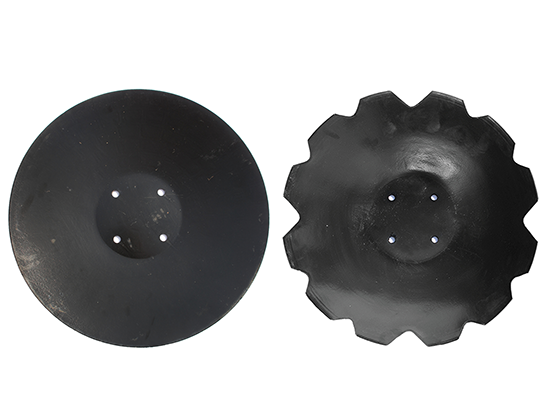 Weighing in at 19,500 pounds, there is no need for additional weights to tackle difficult conditions and properly penetrate the soil. 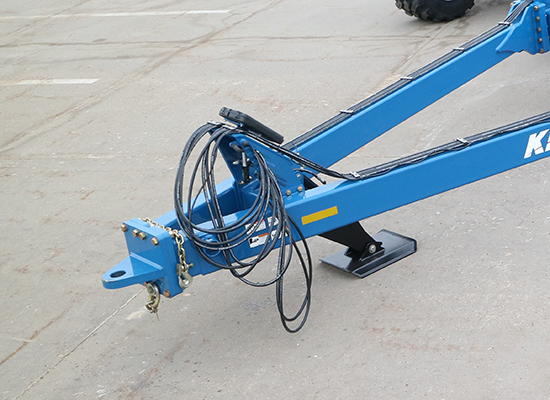 Hooking up to the Mach Till 201 is simple and safe with easy to identify and use hydraulic couplers, and a robust, hydraulically operated jack stand. 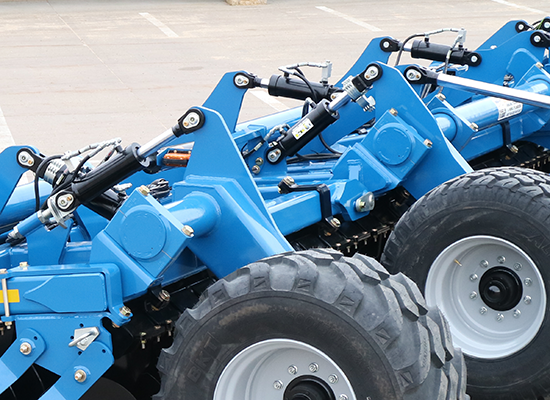 It is equipped with maintenance-free bearings, carbide roller scrapers, composite bushings, and over-sized pins throughout. 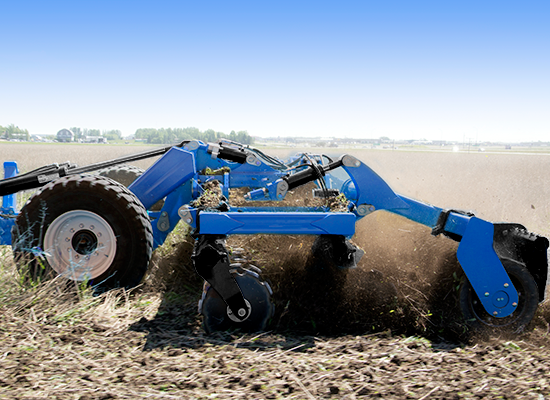 So when the 201 gets to the field, it keeps rolling until the job gets done.